DOJ WARNS LOCAL COURTS ABOUT ILLEGAL ENFORCEMENT OF LEGAL FEES! "The U.S. Justice Department is sending a “dear colleague letter” warning state and local courts about constitutional concerns regarding fees and fines imposed on poor defendants. The letter (PDF) from the department’s Civil Rights Division and the Office for Access to Justice urges courts to review procedures regarding fines to make sure they comply with “due process, equal protection and sound public policy.” A press release links to the letter and describes a $2.5 million grant program to help agencies develop strategies that reduce unnecessary confinement of those who can’t pay fines and fees. The Washington Post and the New York Times have coverage. Dear colleague letters have been used “to help push the boundaries of civil rights law,” according to the New York Times. Yet they are unusual. The last such letter, issued in 2010, advised judges they need to provide translators for people who can’t speak English. The new letter refers to “illegal enforcement of fines and fees” in “certain jurisdictions,” including Ferguson, Missouri, in cases involving misdemeanors, quasi-criminal ordinance violations and civil infractions. 1) Courts shouldn’t incarcerate a person for nonpayment without first determining whether the person is indigent and whether the failure to pay is willful. 2) Courts must consider alternatives to incarceration for indigent defendants unable to pay. Alternatives could include requiring community service or classes, reducing the debt or extending the time for payment. 3) Courts must not condition access to a judicial hearing on the prepayment of fees and fines. 4) Courts shouldn’t use bail or bond practices that keep indigent defendants incarcerated because they can’t afford to pay for their release." CT LAW TRIBUNE REPORTS CT ATTORNEY MISHANDLED DISABLED PERSON'S ESTATE, SUBJECT TO ARREST! "For years, Michael Schless practiced law in Newington without any hint of wrongdoing. He's now 78, retired and living in Boynton Beach, Florida. And there is a warrant pending for his arrest. The issuance of the warrant by Newington police is the latest chapter in a lengthy investigation into whether Schless took thousands of dollars from a client with cerebral palsy. Schless had served as conservator for John Fritz of Wethersfield for about 24 years. Fritz's legal counsel asserts that as much as $100,000 was taken, though an attorney representing Schless said his client never took any money and that he is the victim of a bookkeeping problem. The pending criminal warrant is the latest in a string of legal problems for Schless over his handling of Fritz's case, which also resulted in a disciplinary action and ongoing civil litigation..."
CONNECTICUT BAR ASSOCIATION OFFERS A FEE DISPUTE RESOLUTION PROGRAM! For those of you who may not have been aware, the Connecticut Bar Association has a fee dispute resolution program which is available for folks dissatisfied with the legal fees in their cases. I have not actually participated in this program, but I thought it would be helpful for people to know about it. If anyone has actually had an opportunity to participate in this program and would like to comment about it, I'd love to hear from you in the comment section below. THE MORAL HIGH GROUND ON ATTORNEY'S FEES, HOW THE GUYS GRAB IT! Any time you ask me about my divorce, I can tell you exactly how much I had to pay for it, and how much each attorney charged me. One reason I can do this is because I had to disclose that information to the other side during repeated requests for discovery. I want to tell you how awful that was to do as the sums of money mounted and mounted. I am surprised that my attorneys weren't ashamed every time I had to submit their bills to the other side again. In contrast, I never once saw a single one of my ex husband's bills from his attorney. Of course, what does it matter really. With an agreeable divorce attorney, those things can be concocted! I mean, I am already very well aware that my ex had his attorney provide him with a fabricated statement which he later used in his taxes to the IRS to get a reduction in his tax bill. But to get back to the point. Why didn't I ever see bills from my ex husband's attorney? Because my ex husband was never required to comply with discovery requests the way I was. He would give whatever documents he felt like giving and those he chose to provide were never that revealing. He wouldn't even include information about how much he was paying his attorney on his financial affidavits. Somehow he managed to evade accountability every time. This is why the rules of court are so amusing, because they usually only apply to the party the Court has decided to screw! If you were actually to believe my ex, he only paid around $15,000 for the first year and a half of litigation. So imagine how it looked to the trial court that I was paying hundreds of thousands of dollars for my representation when my very frugal ex husband was only paying $15,000. It made me look as though I was financially profligate while my ex husband looked like an economic Saint! From the beginning my ex had tried to portray me as this big spender, which wasn't actually true. However, what with all the massive sums my attorneys were burning up, I sure looked like a big spender! Then when I ran out of money and could no longer pay my attorney's fees, I was this bad person who was so irresponsible I wasn't paying my attorney's fees. Damned if I do, and damned if I can't any longer! This same thing happened to me recently in another situation in Court which was one of those spinoff lawsuits that emerged from my original divorce. In this case, the opposing side is asking to be reimbursed for attorney's fees and the attorney is claiming that he is only being paid one fifth of his normal hourly fee out of friendship for his client and his faith in the cause. Now, I would love to believe in the high moral purpose expressed by this attorney, but the practical experience I have had in court all these years leads me to be doubtful. What I really think is going on here is that the opposing side has been able to grab the moral high ground by claiming the attorney's representation is not motivated by financial gain but purely by the righteousness of his client's cause. Meanwhile, here I am paying these exorbitant fees again appearing to be trying to destroy my wonderful underdog enemy with my greater financial resources! In this situation, the opposing side is likely to win just because they look so marvelous because of this bogus financial arrangement. The reality is, you and I know these attorneys. None of them works for free or for less than they can squeeze out of you. Somewhere or somehow, they are getting pay back. They are getting it through the barter system, through the exchange of power or influence, or they are getting it because they are taking money from their client under the table. One way or another, they are being paid. So my point is, when you are in Court for any particular reason, why not try the same scam? Why not grab the moral high ground, cut a deal with your attorney to reduce the apparent fees he or she is charging you, and find a way to let the judge know how financially virtuous you are, how frugal about the expenditure of attorney's fees. Trust me, you will benefit if you do. THE PARTIES WILL DIVIDE GAL FEES FIFTY/FIFTY! RIGHT! VERY SENSIBLE! One of the situations that vastly amused me (OK, not really!) when I was going through my divorce and subsequently was how the trial court would determine the manner in which GAL fees were paid. Ok, I agree, initially, the GAL fees were paid out of a credit account that was in both our names, and that was marginally OK. Subsequently, however, we ended up with Stipulations, and then ultimately, a Parenting Agreement which stated that all GAL fees were to be paid fifty/fifty. This is where I swear everyone in the trial court lost their reason, my attorney, their attorney, the GAL, the judge. The reason I say this is because when this agreement was put into place everyone was aware that my X continued to make a six digit salary at his very lucrative job, while I, as a result of the ongoing litigation and the subsequent need that developed for the children to have at least one full time parent, was making exactly zero, and expected to make exactly zero for a considerable time to come. So granting this, how did such a ridiculous financial arrangement end up in the Parenting Agreement when anyone and everybody involved in putting that Parenting Agreement together knew exactly how unrealistic such an expectation was? Don't you all think there should be a law in the Practice Book somewhere precluding completely ridiculous and impossible to enforce provisions in Parenting Agreements? I sure do. Anyway, so what happens under these circumstances where you've pretty much been forced to agree to a provision in your Parenting Agreement to pay GAL fees fifty/fifty when you can't afford to do so but you have been told in so many words you must agree to that provision otherwise you will lose custody of your children? And, of course, those situations primarily apply to women and not to men, because usually in these high conflict divorces the men are very well off while it is the women have been impoverished as the result of the divorce. I'll tell you what this does strategically. If you are now in the middle of a high conflict divorce, please note that ordinarily the attorneys in the case will insist upon separating the litigation of the custody from the litigation of the financial matters. This gives the men in these cases considerable strategic advantages over the women. First of all, most women in high conflict divorces exhaust all their financial resources on the custody because such women are so desperate to have custody of their children they will spend all they have, and then end up with no resources with which to fight in regard to financial issues. Second, the fifty/fifty GAL fee agreement gets put into the Parenting Agreement and the trial court next schedules the adjudication of the financial issues for around four to six months after the custody issues were dealt with. Of course, by the time the custody issue has been settled, both parties will owe around $20K to $30K (or more) each to the GAL. Immediately, eager beaver Father will set up a payment plan or even pay off the GAL and he is beaming and looking good and the GAL's best pal. In contrast, Mother, who no longer has a single penny anywhere and now has custody of the children and has to feed, clothe, and maintain them and probably only receives very intermittant if any child support and alimony since financial has not yet been settled and many Fathers won't obey court orders anyway in regard to support prior to dissolution, has absolutely no means to pay the GAL. So what does the GAL do? Don't even think that a GAL would have the patience to wait until the financial is settled to get his or her money, no, no, no! What the GAL will do is file several Motions for Contempt, and the Opposing Attorney will file Motions for Contempt, complaining that Mother is violating the trial court order to pay the GAL at fifty/fifty. Meanwhile, such GALs are busily continuing to interfere in the case, adding on more charges, continuing to investigate, further attempting to locate more evidence against Mother and possibly generating an additional $20K to $30K (or more) in fees. All of that gets added to the original bill so that the bill is now even more monstrous. Of course, putting aside that most Mothers in a high conflict divorce have every reason to hate the GAL for his or her nasty, back stabbing, and lying, vicious, cruel and child hating ways, even if Mother wanted to pay, she simply can't! The end result is, Mother begins the financial part of the litigation with several Motions For Contempt outstanding against her which the GAL and the Opposing Attorney immediately bring up right at the start of the hearings. So right away Mother looks as though she is non compliant and unwilling to work with the trial court and thus loses considerable ability to negotiate any kind of financial agreement which is in the least bit fair and equitable. I know you think that I must be mistaken, that the trial court would never fall for such obvious manipulation of the circumstances in a high conflict divorce, but trust me, the trial court does fall for it. Or, to be more realistic, they pretend that they are falling for it and play it up to the hilt, acting with each case as though they never, ever, saw that situation before--NOT! Just last week I observed a Mother sitting on the stand getting grilled by a judge over not paying GAL fees when it was so darned obvious the lady didn't have a dime to pay. "So," says the judge, "you deliberately disobeyed court orders and did not pay the GAL." Well, naturally. It is amazing how a person with an empty bank account will do that! So there is all this self righteous hot air putting the blame on the victimized Mother for a situation she had no control over, while Father, who is sitting on a small nest egg, no longer having to support his abused ex Wife and children, so he is happy to pay the GAL who put him in that lovely situation in the first place. In fact, he is falling all over the place with praise for the GAL and telling the judge that he will do ANYthing to pay the GAL--well, not really, lots of these guys stiff the GAL as well in the end. But not as publically, because they wait until after the dissolution of the marriage and the financial settlement to do it. This game can be played even better if the original custody agreement included family therapy to be paid--you guessed it--fifty/fifty by each of the parties. If Mother, by any chance, skimped on the family therapy because she couldn't afford it during the time after custody was decided and the financial was to be heard, well, file a Motion For Contempt for that as well, and also use it as an opportunity to call into question Mother's fitness to parent. That, of course, compromises Mother even more in any attempt to negotiate a reasonable financial settlement. So you can see how, in a high conflict divorce, the fifty/fifty approach is a sure slam dunk to screw the X-wife for any abusive Father in a high conflict divorce. It is extremely rare for the trial court to use its brains and say Father makes a six digit salary, Mother makes nothing, so why don't we have an 80/20 split or something like that? Apparently, thinking like this is much too challenging for the trial court. It would involve actually treating Mothers equitably, and I think it is going to be decades before family court becomes enlightened enough to handle it that way. Meanwhile, for those of you in high conflict divorces, don't be hoodwinked when they come to you and tell you that they are handling the custody and the financial at separate times, or when they say you must agree to fifty/fifty payment of GAL and/or family therapy fees. Make no mistake about it, when they do that, they are deliberately setting you up, and the outcome will unfold exactly as I have described it to you. Forewarned is forearmed! It is hard to know what to do when you get a truly bad attorney. When I had to deal with a particularly bad one, I turned to the Statewide Grievance Committee. But they didn't find probable cause in my grievance case even when I complained about actions by my attorney which I considered abhorent. For example, refusing to meet with me or listen to my requests. One major problem that prevents you from holding attorneys accountable is when you accuse them of wrongdoing that others consider a matter of opinion. For instance, if you say that the attorney didn't obey your instructions. That's a waffly kind of wrongdoing others can argue with, i.e. maybe your instructions weren't good instructions! Negotiating a bad deal for you. Define "bad". Again, all very waffly. But there is an area where you can nail your attorney for wrongdoing, and that is if they give you a bill which makes fraudulent claims regarding the services they provided and then use it as a means to overcharge you. There is nothing more black and white than a bill. When an attorney sends you a bill, he or she is affirming that what is stated in that bill is a fact. So when they make a claim in a bill that is contrary to the facts and you can prove it, those attorneys are in trouble. I don't know about you, but when I was in the middle of my divorce and at risk of losing my children and ending up on the street, I was so upset you could have given me a bill for legal fees amounting to a million dollars and I would never have noticed. That's why I am talking to you about bills three years after I received the last set of fraudulent bills that I received. Simply put, when I received them, I was so distraught that I didn't notice how messed up they were. Now, I'm like, how could I have missed it! And I realize that I can complain of all sorts of problems with an attorney and no one will care because they will consider it all a matter of opinion. But everyone cares about the bills. 3. Internal Conference or Communication: This is where you are charged for one attorney talking to another attorney, or an attorney talking to a paralegal or secretary in regard to your case. I suppose it would be OK to have such a conference now and then. But when conferences like that take up most of your bill, I think you have a problem. 4. Overstaffing: This happens when the firm uses multiple attorneys and other staff like paralegals and secretaries on your case. This leads to increases in conferencing among all these staff members in order to keep everyone updated regarding what is going on in the case. There may also be duplication of services and overlap in regard to what everyone is doing. 5. Wrong Bill or Client: Sometimes, billing departments make mistakes and mix up your bill with another client's bill. Or a legal firm may take last month's bill, change the date and send it to you as the present month's bill. Don't laugh. It happens! 6. False Charges: This takes place when an attorney asks you to pay for services that were never provided in your case. Please note that a good sign that a legal firm may be churning your case is when the vast majority of charges are for activities that took place within the firm rather than in connection with the opposing attorney in the case or with the court. This means that they are probably not moving your case forward that much. Take a look at your records, are there any disparities in regard to what your attorney states that he did and what your records state that he did? Does he state that he had a meeting with you at a time when you were on vacation in Bermuda and unavailable? Does he state that he drew up a mortgage document for you which you have no record of either needing or receiving? If so, that is some of the best ammunition against an attorney that you will ever get. Nothing quite equals the power to damn an attorney like a false and/or improper bill. For further information in this regard, take a look at the website: www.devilsadvocate.com, the brainchild of Attorney John W. Toothman, legal consultant, and the author of several books and articles regarding the attorney/client relationship. COMPANY IS NOW ENTITLED O'CONNELL, ATTMORE & MORRIS, DIFFERENT NAME, SAME UNSCRUPULOUS ATTORNEYS! FLAHERY IS NO LONGER WORKING AT THE COMPANY. I WONDER WHY? I usually don't comment on individual attorneys on this blog because delving into this subject is generally beyond the scope of what I am trying to achieve here. However, from the reports I have received, the infamy of this particular lawyer, Attorney James T. Flaherty, is so great that it is pretty much impossible to ignore. You may be very skeptical of what I am about to say. Perhaps you did what I did, that is, you googled his name and found out that he is listed as a super lawyer, the recipient of many awards and accolades, a special master, and also affiliated with a law firm here in the State of Connecticut that is also the recipient of widespread admiration and respect. I am sorry to have to tell you, that despite all of the praise and adulation heaped upon Attorney James T. Flaherty, it appears to me that the public image is pretty much all fake. From what I have heard, this guy is the Dr. George Reardon (think the St. Francis Hospital sexual abuse case) of the legal profession, sowing misery and destruction everywhere that he goes. There appears to be no limitation on the amount of wrongdoing that Attorney James T. Flaherty is willing to commit. I have had former clients of Attorney James Flaherty tell me that he has packed his bags up right in the middle of a trial and simply walked out of the courtroom. I have also heard of situations where Attorney Flaherty has demanded that his client provide a check for an additional $20,000 right before walking into the courtroom for trial, stating he would not represent the client unless he received the money on the spot. Other clients have complained that Attorney Flaherty has charged fees for services and then never followed through on the work, leaving cases in limbo for months with nothing accomplished. In addition, Attorney James Flaherty has been accused of submitting bills to clients where there are multiple charges for the same services, as well as charges for additional attorneys on the bill, attorneys the client never even met or heard of. Even after Attorney James Flaherty stated that he had withdrawn from a case, I have heard still he would continue to incur charges to the tune of thousands of dollars. The worst of Attorney Flaherty's alleged behavior is that he would apparently threaten to withdraw representation if his clients didn't do what they were told, either by signing agreements they didn't like, or pursuing strategies they didn't like, or by paying Attorney Flaherty thousands of dollars that they couldn't afford. 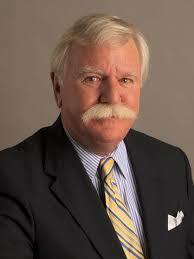 The charges against Attorney James T. Flaherty go even further than this. Apparently, what I am hearing is that Flaherty allegedly would deliberately lose the cases for his clients, deliberately undermine their reputations by letting false charges stand or by slandering the reputations of his clients in court, meanwhile running up thousands and thousands of dollars in legal fees. (I've heard of former clients owing Attorney Flaherty as little as $2,000.00 but also sums of money as high as $200,000 or more.) Then he allegedly takes them to collection, forecloses on their homes, and garnishes their wages. With behavior as egregious as this, you would think that fellow attorneys would report this man for violations of his professional ethics, or that he would eventually be disciplined by the Statewide Grievance Committee, and apparently this has happened a few times. Otherwise, I understand several grievances were filed against this attorney, but did not succeed, even when the complaints were fully documented and airtight! Or at the very least, you would think judges in civil court would figure out and condemn the game he is playing with former clients since Attorney Flaherty and his crew keep on showing up in pursuit of them. There are almost 70 collection cases in civil court under the name of his law firm, O'Connell, Flaherty & Attmore. But apparently not, because when these clients seek to defend themselves in court, they unformly lose, even when Attorney Flaherty has the most flimsy kind of case and when former clients' have overwhelming evidence that they have been cheated, lied to, threatened, and abused. Now, I hate to think what I often think--that the Statewide Grievance Committee is a complete sham and that Attorneys like Flaherty are simply bribing judges but the fact that Attorney Flaherty has been allowed to pursue these criminal activities without any consequences for as long as he has (over a decade at least) certainly makes you think the worst. Recently, Attorney James T. Flaherty's law firm was featured in the Connecticut Law Tribune in an article entitled "A Last Ditch Effort to Collect Fees" that highlighted and whitewashed the collection activities of the firm. See this link: http://www.ctlawtribune.com/getarticle.aspx?id=36704 . When one former client attempted to get the editor in chief, Paul Sussman, to cover the clients' side of the story detailing Attorney Flaherty's abuses which I have summarized in this blog, he refused to follow through or return phone calls and emails. I am sorry to say this, but it seems as though lawyers protect their own, no matter how criminal. Be that as it may, I am not going to tell you what to do with your divorce. Your life is your own. But don't be stupid and hire this attorney, this firm, or any attorney or paralegal, or secretary or receptionist that works with him. Just so you get more detail regarding Attorney James T. Flaherty so you can avoid him, he now works at a separate company O'Connell, Flaherty, & Attmore-West in West Hartford, with his best pals Attorney Sandi Girolomo and Attorney Pam Magnano, both of whom are, in my opinion, equally evil. Still the parent company, O'Connell, Flaherty and Attmore must be equally evil, in my view, since they put up with him for so long. Remember this when you think of Attorney Flaherty--from everything I have seen and heard, it appears that he is rotten to the core. Stay away from him, for your own sake. 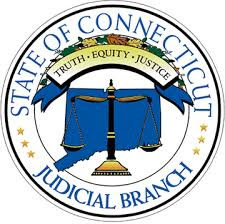 CONNECTICUT'S FAKE PROVISION FOR THE UNEARNING SPOUSE WHO CAN'T AFFORD AN ATTORNEY: CT STATUTE SEC. 46b-62! What do you do if you have no money to pay your attorney's fees during a divorce? What they say is that if you don't have any money for lawyers, you will simply lose the case. I don't know if this is true. What I will say is that I was lucky enough have access to money that came from my parents to pay my attorneys a substantial fee. Of course, there is the whole ethical question of why the CT Family Court makes the assumption that litigants with parents who have money to pay, should be required to make those parents pay. Since when should third parties unrelated to the lawsuit be put in the position of having to pay for it? That's a good question I never got an answer to! Nonetheless, parents money or not, in my situation having money available for litigation didn't make my attorneys any more effective. They were still substandard. So money isn't everything. In the same way that you can't buy love, you also can't buy a lawyer's good work. In order for lawyers to work hard for you, they really have to care about you, sympathize with your story, or do a financial deal that benefits you rather than the other party so it becomes worth their while to support you. If they don't, you are simply done for and you will lose. On the other hand, if you don't have any lawyer at all because you absolutely can't afford one, then you definitely will lose simply because you have no idea how to handle yourself in a court room. It is one thing to represent yourself when you have been in the system for a while as I have been, but it makes absolutely no sense if you are totally new to the system and have no one to mentor you. At the very least you are going to need someone to ask questions of as you begin your divorce. Sec. 46b-62. (Formerly Sec. 46-59). Orders for payment of attorney's fees in certain actions. In any proceeding seeking relief under the provisions of this chapter and sections 17b-743, 17b-744, 45a-257, 46b-1, 46b-6, 46b-212 to 46b-213v, inclusive, 47-14g, 51-348a and 52-362, the court may order either spouse or, if such proceeding concerns the custody, care, education, visitation or support of a minor child, either parent to pay the reasonable attorney's fees of the other in accordance with their respective financial abilities and the criteria set forth in section 46b-82. If, in any proceeding under this chapter and said sections, the court appoints an attorney for a minor child, the court may order the father, mother or an intervening party, individually or in any combination, to pay the reasonable fees of the attorney or may order the payment of the attorney's fees in whole or in part from the estate of the child. If the child is receiving or has received state aid or care, the compensation of the attorney shall be established and paid by the Commission on Child Protection. The bad news is that even though this remedy is available, the Court rarely orders it, at least for folks like us who are victims of high conflict divorce. As my divorce progressed and became more and more expensive, my family and lots of my friends and neighbors said, "Doesn't he have to pay your legal fees?" There seemed to be this presumption that my ex would have to. In reality, the Court rarely orders it--not as long as there are grandparents, extended family members, friends or retirement accounts available to be cashed in early, tax liability or not--they don't care. I actually know of one person whose ex paid all of the legal fees in her case, and I'm sure that it does happen. She big time lost, though I'm not sure if it was because of how her legal fees were paid. But it is kind of suspicious, don't you think? For the better part, my ex did not have to pay my attorney's fees, and the same thing happened to most other women I know in similar situations. So what do people do? Unless you have a great Aunt to borrow from, etc. etc. in these cases, the attorneys work for nothing until the financial settlement is finalized, at which point they get paid, and often these attorneys simply don't get paid at all. Also possible is that the attorney get paid in favors meted out at another time in exchange for backstabbing you and scuttling your case. When I asked the several attorneys I had to make a motion to court to request attorneys fees, they simply refused to do it. They told me I would never be able to get the court to order my ex to pay attorney's fees. To be honest, I'm not sure what is the point of having a CT General Statute in place giving the Court the authority to get the earning party to pay attorney's fees for the non earning party if the Court is never going to make that kind of order. Be that as it may, it is there. What I hated was the fact that such a statute existed encouraged my friends and family to insist that it could be done and that there must be something the matter with me that I couldn't get my lawyers or the Court to order that kind of relief. The fact that this law--like many other laws intended to protect protective mothers--was only in the books for show was a concept that was far beyond their comprehension. So this law was more of an annoyance to me than anything else because it made me look bad...again! Finally, within this legislation is an additional provision that you should all be aware of which allows the fees for the Guardian Ad Litem to be paid for from the estate of the child. This means that if you had put money aside for the child through the uniform gift to minor's act, or if you had a *college fund for the child, all of that could be seized by the GAL for the payment of legal fees. *recent legislation, as stated below, now precludes the Court from seizing college funds for this purpose. If you are heading for a divorce, make sure you take all the funds you have in the name of your children, make sure you consult with a tax advisor and/or an attorney regarding how you can protect them or disappear them. Good luck!